Which Schools Are in the Ivy League? 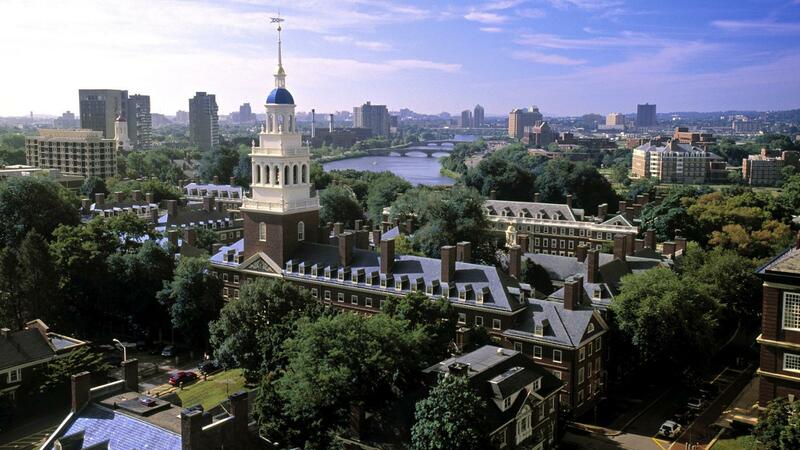 University Review lists the Ivy League schools as Harvard, Princeton, Yale, Columbia, the University of Pennsylvania, Cornell, Brown and Dartmouth. The Ivy League consists of many of the oldest and most prestigious colleges in North America, with several regularly topping lists of the best colleges. While the Ivy League itself is a relatively recent name, originating in the 1930s, the colleges themselves all have long histories, reports University Review. Seven Ivy League institutions were founded before the Revolutionary War, with the lone exception (Cornell) being founded in 1865. The Ivy League was originally founded as an athletic conference in 1954. The 1954 agreement in turn came from an earlier 1916 deal between the presidents of Harvard, Yale and Princeton. The other five institutions joined the agreement in 1952, and in 1954 all eight colleges agreed to meet each other annually, forming the Ivy League conference. The term has since been used to refer to the eight colleges, rather than just their athletic league. The Ivy League universities comprise many of the most selective American colleges, and often have admission rates in the single digits. Each college has many famous alumni, including presidents of the United States, and graduating from an Ivy League school is often seen as very beneficial to a career. Which Ivy League School Has the Most Students? What Are the Top Law Schools in America? What Are Some Well-Known Graduate Schools for Business? Where Are Some Well-Known Medical Colleges?